Paul Buff built custom gear for Frank Zappa. Need we say more? The cool factor is tangible. By the time he patented his TA-101 VCA (‘The Electronic Gain Control Device’ – the heart of the Dyna-mite) in 1980, his reputation was already unimpeachable. The Dyna-mite is essentially a limiter or an expander, but through a near-unfathomable combination of switch positions, it is capable of more or less any manipulation of dynamics from gating to RMS compression, from keying and ducking to ridiculously extreme leveling. Ducking or Keying modes with external side chain. 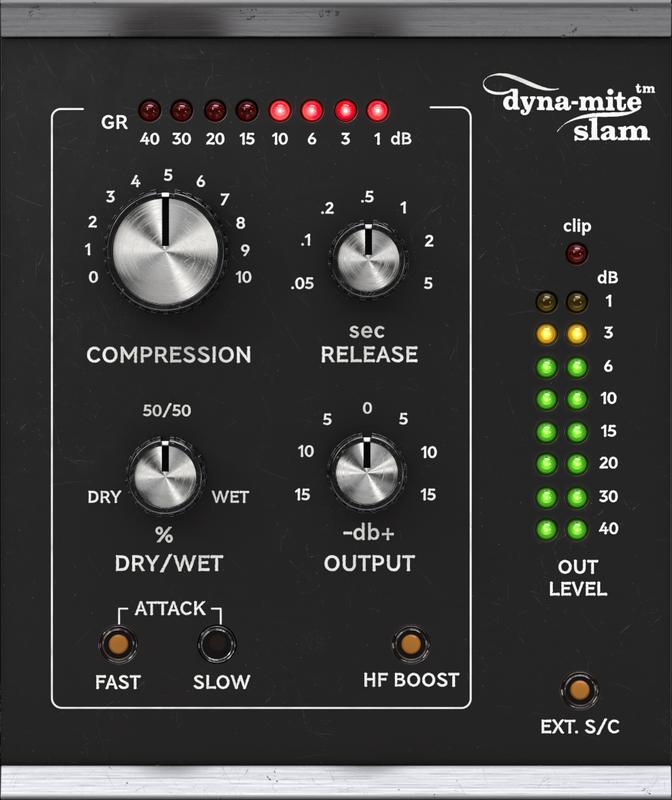 Analog-modeled output distortion for serious attitude and vibe. All the detailed dynamic control – and it’s quick and easy.